In the UAE, moving homes is an expected part of expat life. The reasons may vary from a rent increase to needing a bigger home. Even then, moving home is no easy task, especially when you have kids in tow. There's a lot of planning and organizing that goes into a successful move from one home into another. It's important to find a system in place, so nothing gets amiss, and you aren't forced to exhaust yourself packing in just a day or two. It also helps greatly to find a good moving company that takes the load off your hands. Like, even a month in advance. With kids, there are many events that can interrupt your moving plans. A little illness or a school project may come in the way. So, the earlier you begin putting away things, the easier it gets in the end. Start with the things you won't be using soon, and note them down too to keep track of everything. Always number boxes, or at least pack them by category of items, such as glassware or toys. Even the littlest ones can help with the packing. 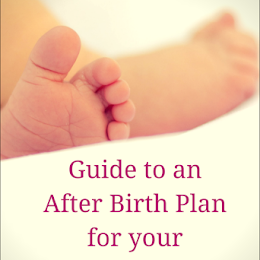 It will make them feel involved in the process, and this is also a way of getting them to understand what's coming. Use packing time to talk to them about the move, and what they can expect to happen on moving day. This exercise works with kids of all ages, and also ensures that you aren't the only one burdened with the task! 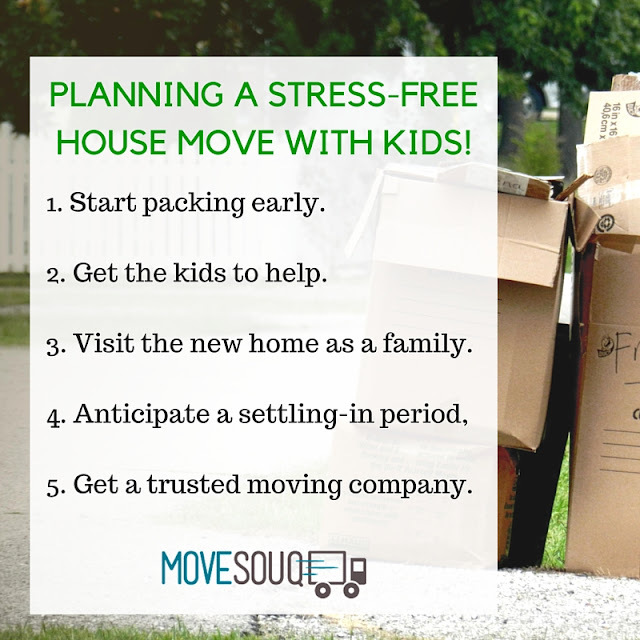 This is really important, especially when your kids are anxious about the move. Make a few visits to the new place if you can, together as a family. 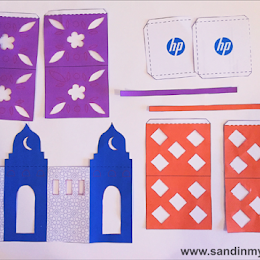 Help the kids envision how the new home will be, and what they can put where. This will make the place a little more familiar. Figure out what services are available in the neighbourhood, and what numbers you need for home deliveries, etc. Try to keep a day or two off for the whole family after moving day. Don't expect kids to bounce back into routine the very next day. Spend time together in the new home, unpacking and settling in. If your kids are getting a new room, you may have to camp in with them there to help them feel more comfortable. It takes a few days to get used to a new home, both visually and emotionally. This cannot be emphasized enough. We've had experiences where the moving company simply didn't deliver on their promises, and we were left to do a lot of extra work ourselves. Make sure the moving company you hire is reputed, and understands that you have kids and expect efficiency. This is where services provided by a site called MoveSouq.com comes in handy. 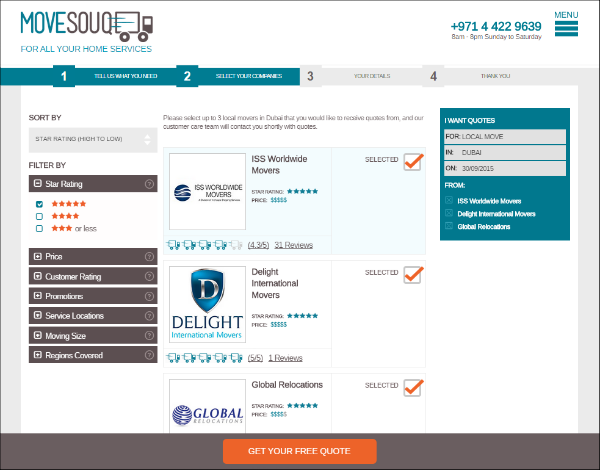 MoveSouq.com is a free UAE-based website that helps people shortlist moving companies that fit their needs best, without having to go look for them individually. MoveSouq.com lets you choose moving companies and get quotes from them. Anyone who has had to call up moving companies knows what a time-consuming task it is to get their rates and other information. You also have to repeat your requirements each time you call someone new. In this case, MoveSouq.com does that work for you! 1. Fill a form about your moving requirements, such as date, size of home, and special packing requirements. 2. You can now select three specific companies to receive quotes from, and MoveSouq.com willrecommend two more moving companies based on your requirements. You also have the option to let MoveSouq.com shortlist five companies for you. 3. You will receive a call from a MoveSouq.com customer care agent to fine tune your requirements so that they can ensure you get the most accurate quotes. 4. Your requirements are shared with the moving companies chosen by you, and their quotes are sent to you in a few hours. These alerts will come to you via email and text on your phone. 5. A final shortlist will be emailed to you with five companies, prices, overall customer ratings, and the further inclusions or exclusions in the quoted price. 6. You can then make a decision on who to hire after talking to the moving companies who will also receive your contact details. 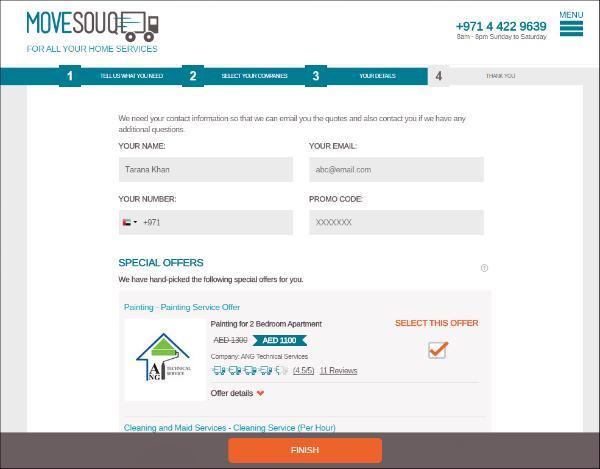 In essence, MoveSouq.com lessens your burden by bringing reputed and licensed companies into your inbox. They also connect you to other home services you may need when you move homes, or even in your current home such as storage, cleaning, maintenance, gardening, painting, and pest control. These are the kind of services we use frequently, and I’m glad to see that they’re all accessible in one place on MoveSouq.com. To help you make a decision on the right company, you can read reviews by other users on each company's profile page. It is clearly in each company's best interest to provide a satisfactory service. However, if you do have an unsatisfactory experience, MoveSouq.com can help you resolve your issues. The same holds true whether you are using a moving service or a cleaning service. The website has partnered with over 100 companies that provide moving, storage, cleaning, maintenance, gardening, painting, and pest control. Another service they facilitate is car shipping. This is useful for when you are moving into a new country. 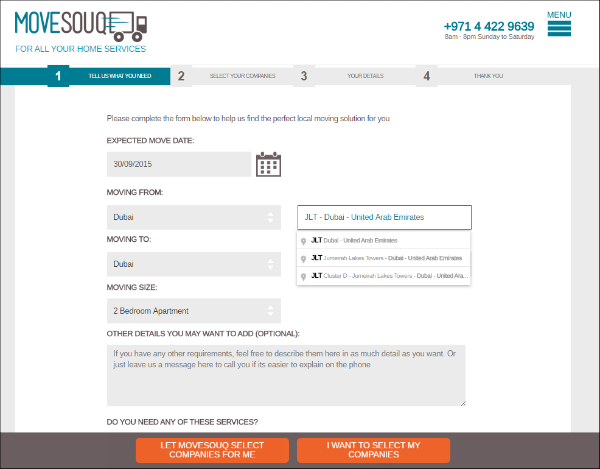 So, the next time you make a house move, go easy on yourself, and let MoveSouq.com help you out. 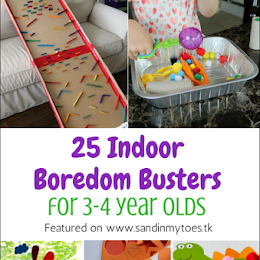 With a little toddler of my own, I know I would be relieved if someone made moving homes simpler for me! To know more about MoveSouq, and try out their services, check out their website. You can also call them on +971-4-422 9639 between 8 am and 8 pm (9 am to 6 pm on Fridays). Also see their blog for more tips and information on moving.